As the water receded we were able to see just what Logos Hope looks like beneath the water. 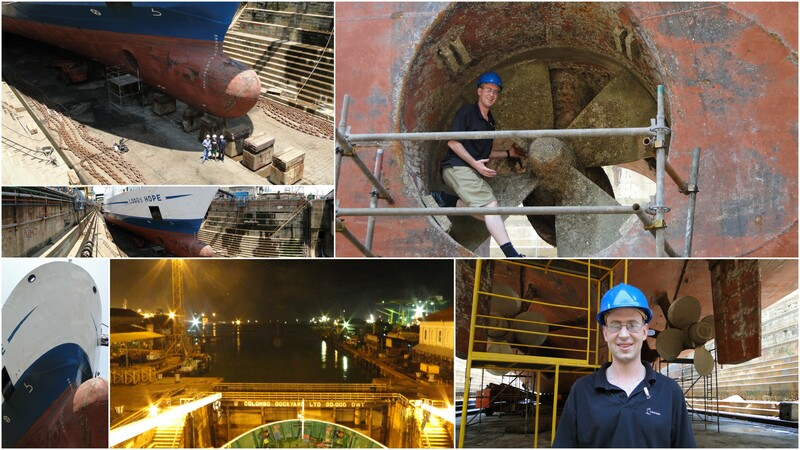 I even had the oportunity to go down and stand underneath the ship and see the propellers. Andy why would we do such a thing? Twice in every five years ocean-going ships are required to go into dry-dock to do routine maintenance and inspection of the hull and all of the below water fittings. 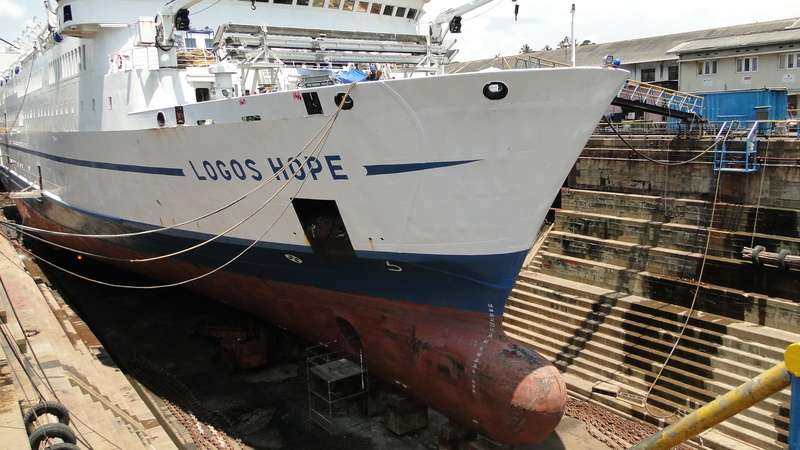 It also gives us the much needed opportunity to perform maintenance and repairs while the ship is closed for business that would otherwise be very disruptive to the ship’s normal operation. And that’s what I’m doing here. I have many repairs to make that have made quite a mess. Hopefully when we open for business again all the little problems will be fixed. When the water was taken away we could see the condition of the ship, but also when the air conditioning is switched off and the luxuries taken away I can see more clearly who I really am and how much or little I love or respect others when I’m uncomfortable. I pray that God would use this time of hard work and discomfort to break me and mould me to be more like Jesus. I am in a dissuesed factory in India. I am working with a team to install the audio/visual and it technology for an evangelistic event for thousands of people. There was more to it, but that was the crux of the dream. Two days ago I lived that dream. 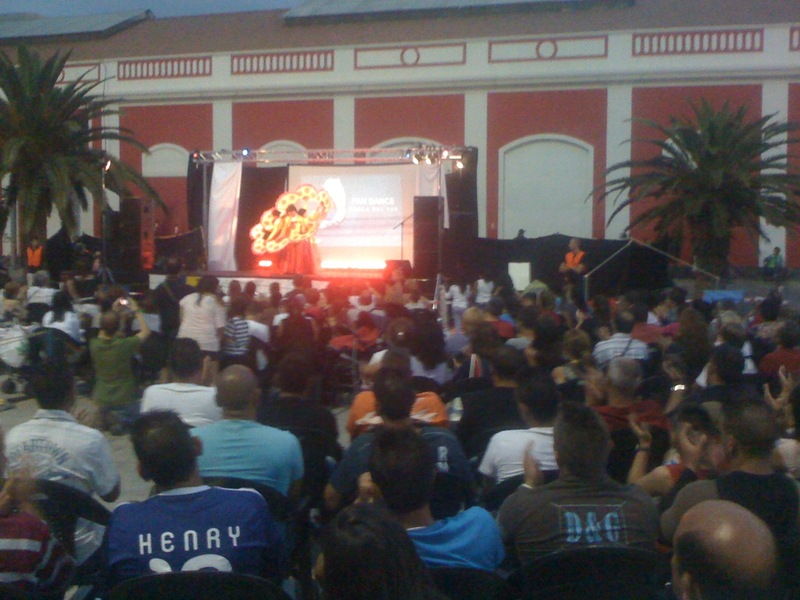 Over 3000 people came to the Logos Hope International Night in Colombo, Sri-Lanka. I came a day beforehand and worked hard to install stage lighting and cameras while my collegue Greg worked on the existing sound equipment. Days before-hand I had worked long into the night preparing the equipment that we brought for this event. Now I saw it going into place and working perfectly. During the event I was the video director. My job was to coordinate 3 camera people to provide video coverage of the event. Two were regular camera people from the ship, and one was from the church where we held the event. I chose which camera to put on the screen at any given time. At the end of the event I had almost lost my voice since I was speaking so much to the camera people (not shouting, just giving nice instructions), but it was well worth the long hours and hard work to see the event come together in such an amazing way. 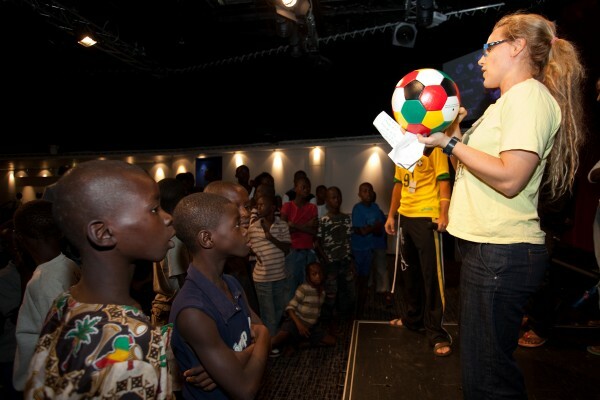 the 3000 visitors were mainly Christian so we tailored the event to encourage Christians to ‘go into all the world’. Thank you God for bringing me here to this place and including me in your plan. “I challenge you to find the most excellent way” said Gian Walser, the ship’s director. Hope Night in Las Palmas of Canary Islands, Spain was an amazing production held onshore right next to a big shopping centre in the city. 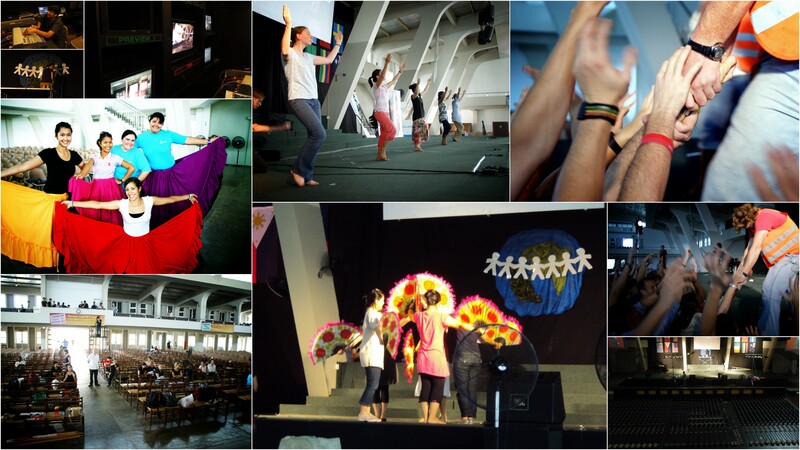 There were cultural acts from the ship’s crew who come from all around the world – Korea, Sweeden, Russia, USA and more. A large crowd gathered around the stage and watched the performances. In the end, a member of the ship’s crew told the story of how she found that the most excellent way is love.